Four other entrants dropped out of the process because of the condition that the successful company had to provide a depot. Contracts have yet to be signed but Go-Ahead will have 12 months to provide a depot. 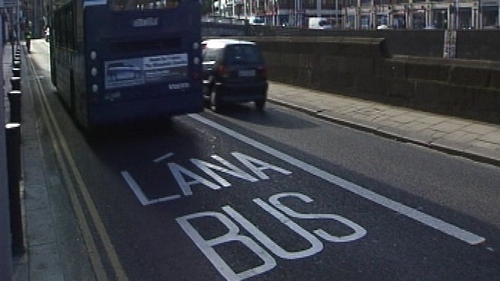 The firm will operate 23 existing routes that serve outer suburbs of the greater Dublin area. Among them are the 185, which connects Bray with Newtownmountkennedy, the 76a, which connects Blanchardstown and Tallaght shopping centres, and the 220, which travels from Ballymun to Mulhuddart. A new route, the 175, will operate from Citywest to UCD. NTA Chief Executive Anne Graham said that cost savings are envisaged and that there will be increased frequency of services as well as a 35% increase in kilometres covered. Ms Graham said: "This is ultimately about improving bus services for Dublin and NTA is confident that passengers will benefit from this decision. "We believe that a new operator in the market will bring a fresh dimension to the way that services are offered. Introducing new providers encourages everybody to focus on their customers' needs and it encourages innovation and improvements to service quality." The NTA has previously denied that if the franchise was awarded to a commercial operator it would amount to privatisation. The authority points out it would retain ownership of the bus fleet and revenue, but would pay an operator to run the routes in the same way that Transport Infrastructure Ireland controls operation of the Luas. "The contracting model that we are putting in place is the same as the arrangement that we have had in place for years for Luas. Luas is owned by the state and run by Transdev. These routes will be owned by the state and run by Go-Ahead," Ms Graham said. "It is also important to note that there is no threat to the Dublin Bus company, or to its workers arising from this decision. There will be no redundancies in Dublin Bus associated with the result of this tender competition." The winning bid from Go-Ahead has provoked a reaction from unions the National Bus and Rail Union. Although both it and SIPTU reached an agreement with the Department of Transport following industrial action over the threat of privatisation two years ago, the NBRU issued a critical statement today of what it called the "privatisation of some Dublin Bus routes"
NBRU General Secretary Dermot O’Leary said that it was "disappointing that Dublin Bus were unsuccessful in the so-called tendering process". Mr O'Leary said: "The NBRU will focus our attention on ensuring that our affected members on the privatised routes will not be forced to move from their current workplace, we will also move to recruit those new entrants that will work for the private operator to ensure that they will be properly represented and work with them towards achieving similar terms and conditions as those workers we represent in the state-owned companies." SIPTU's Sector Organiser added that there will be no benefit to customers when Go-Ahead company take over some of the routes. Speaking on RTÉ's Drivetime, Willie Noone said they will oppose any further possible privatisation by the NTA. Go-Ahead operates primarily in the UK and is one of the largest bus operators in London.